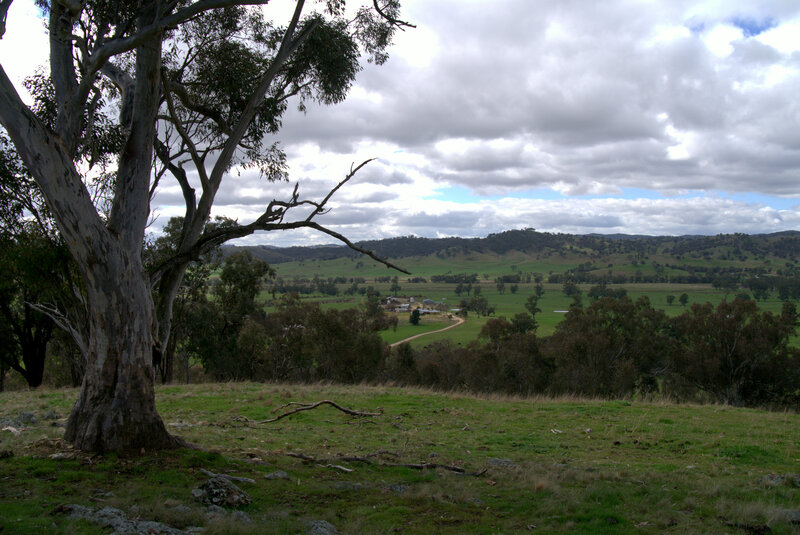 No rain today so I took a walk up the hill across the road from the lane which leads to the farm. Charlie the Jack russel came with me and I saw some calves, some alpaca and some kangaroos, but I still didn’t manage to photograph a roo. I’m pretty sure the dog scared them away before I got close enough, and they hopped over the hill too fast for me to get my camera out. I will keep trying. This picture is the view of Scott’s farm from halfway up the hill. I really feel content in such surroundings. 26 Aug	This entry was published on 26/08/2012 at 06:23 and is filed under Uncategorized. Bookmark the permalink. Follow any comments here with the RSS feed for this post.